Ensenada, B.C., Mexico—The 50th Anniversary of the Baja 500 proved to be one of the most grueling ever. Silt, washes, ditches, drop-offs and rocky passes are just some of the hazards that make Baja a serious test for even the most seasoned teams. 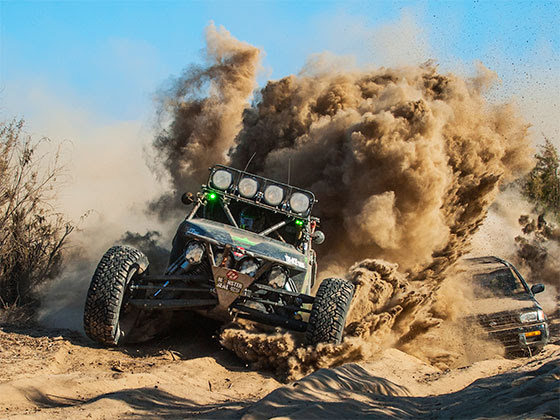 On top of the elements, the size, power and number of vehicles entered into this year’s race make the Baja 500 course increasingly torturous with each pass. This year’s race once again confirmed Baja’s brutal reputation. With a start and finish in Ensenada, the 542 mile loop took racers east to the El Chinero checkpoint at mile 170. From there, the course headed north for a quick 40 mile burst before turning back to the south west towards the Pacific and the Guerrero checkpoint at mile 370. The racers then turned north along the coast before veering inland for the final stretch heading back to Ensenada. 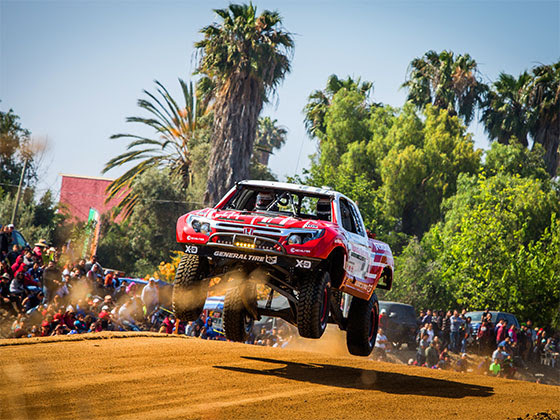 Albins AGB-equipped Class 1 Unlimited vehicles took three out of the top ten spots at the Baja 500 including the top of the podium. Justin Davis/Green Army’s Baja 500 win continues his 2018 streak in Albins AGB-equipped car 185 following wins in San Felipe, Barstow and Primm. Other great Baja 500 Class 1 results for AGB-equipped cars include 129 Brandon Bailey/Stronghold Motorsports 4th place and 109 Tony Murray in 6th place finish. In Class 7, 7209 Jeff Proctor powered to another Baja win, taking the top spot in the Albins ST6-equipped Honda Ridgeline. Proctor and the Honda Off Road crew are no strangers to Baja. Procter placed 2nd in Class 7 at the last Baja 1000 and also won Class 2 at the Ridgeline’s maiden Baja 1000. Proctor/Honda Ridgeline have been on a roll this year with a Class 7 win at the Parker 425 and a 2nd at the Mint. One more impressive Class 7 result came from Dan Chamlee’s second place in Weddle Performance Clutch-equipped car 700. A huge congratulation to all teams that finished this year’s Baja 500.